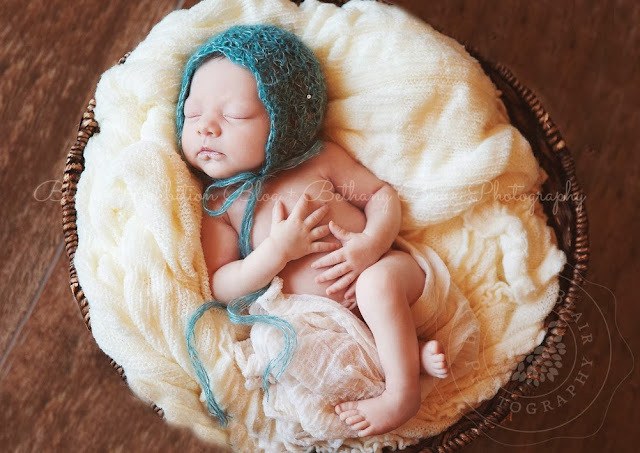 First off, I wanted to share a sneak peek of Caroline's newborn photos taken on Friday by the extraordinary photog, Bethany McGhehey of Bethany Blair Photography. I know she's mine, but I just about died when I saw these. I had such a wonderful experience putting together a nursery for our little Caroline. 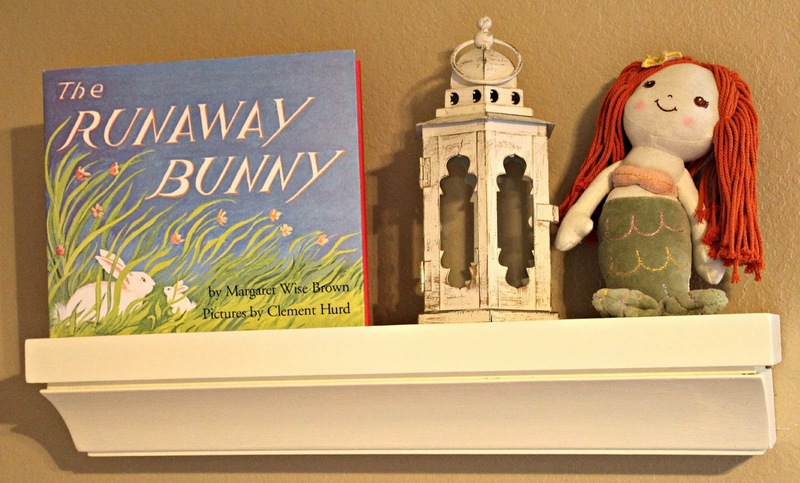 I wanted to really take my time and choose pieces that had meaning to us personally - items from our own childhoods, bedding and special items with her name, frames with photos of family and books that were special to Stephen and me growing up. 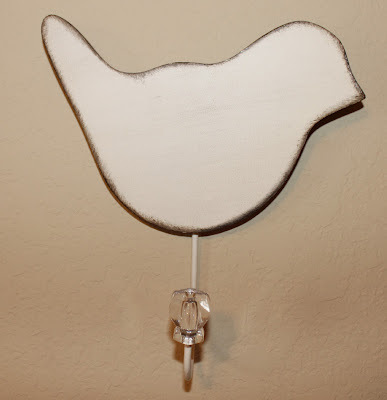 I also wanted something sweetly simple. 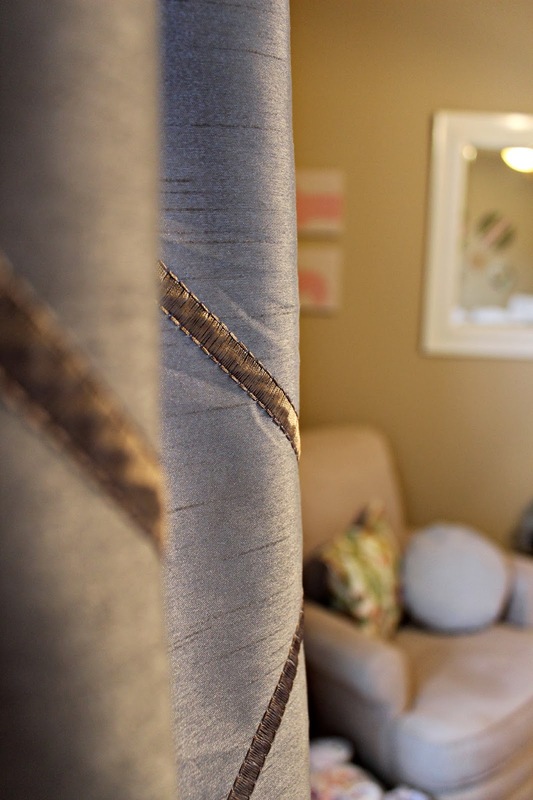 I wanted muted, soft colors and delicate touches. If I had to choose a few words to describe it, I'd say it was "vintage and shabby-chic". 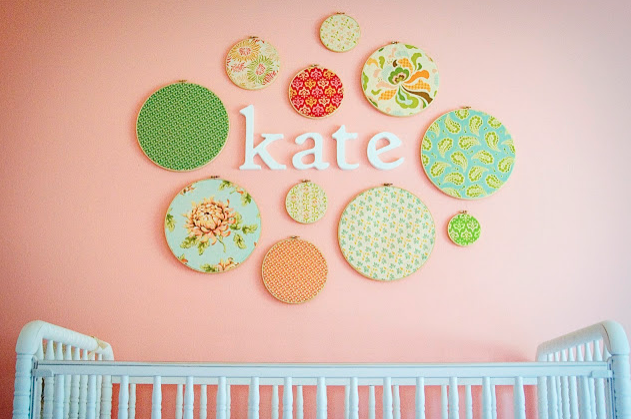 I was inspired by this gorgeous nursery featured on On To Baby. 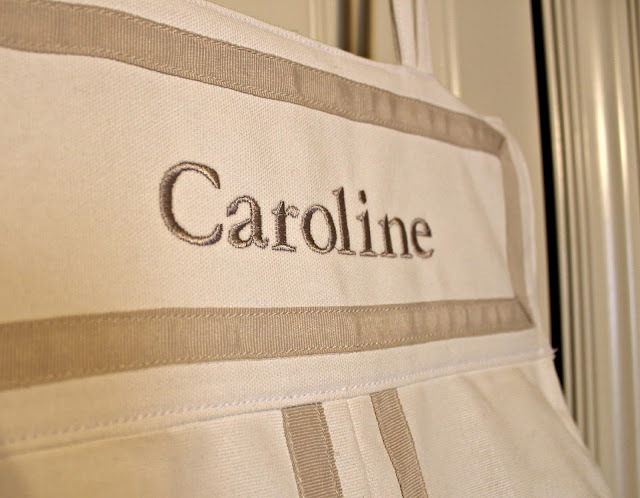 I especially loved the simplicity of it all and knew I wanted to replicate the feel in Caroline's own space. 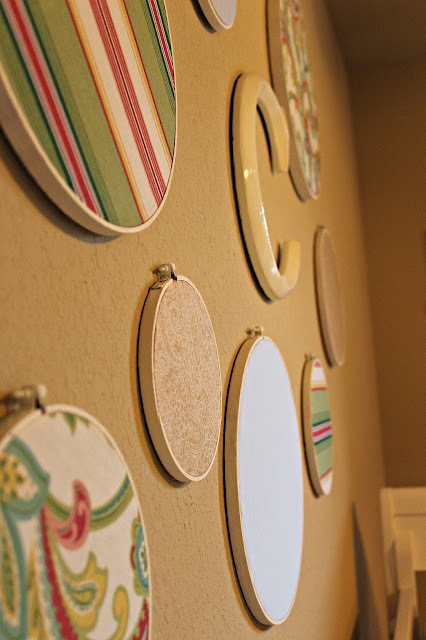 I was taken with the DIY wall art from this blog. We wanted to concentrate the majority of our budget on good quality furniture, so decorative pieces like art needed to be DIY. 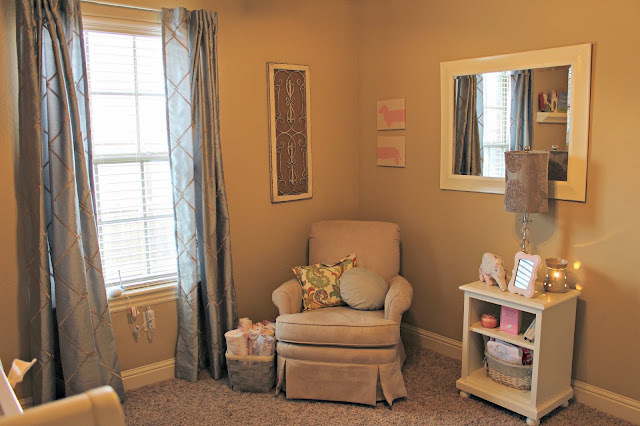 Here's our sweet little sanctuary, simple and understated, just what we wanted. 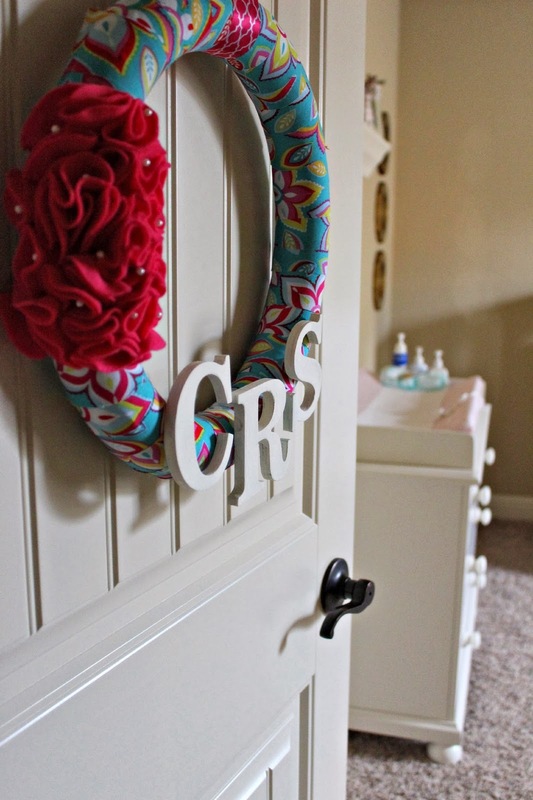 The wreath I made for Caroline's hospital door, which now adorns her nursery door. The Humpty Dumpty doll was mine when I was a baby! 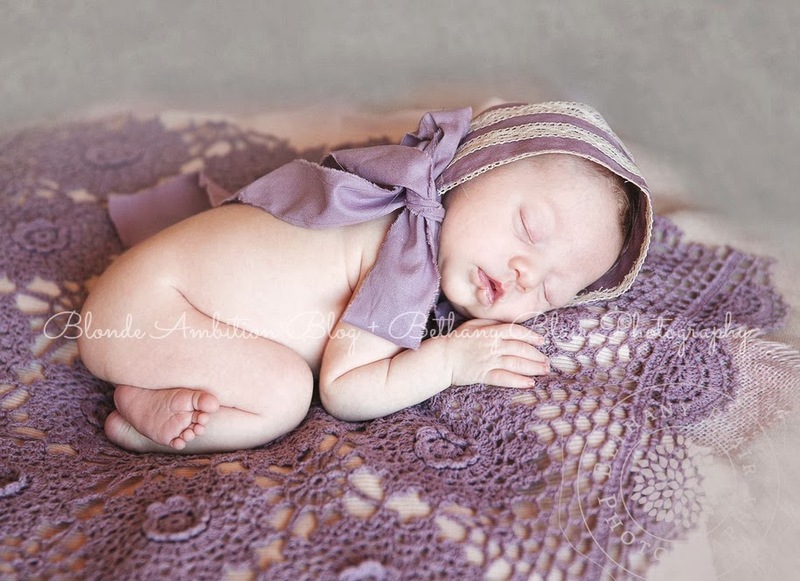 The pink crocheted blanket was hand made by a group of ladies at our church. 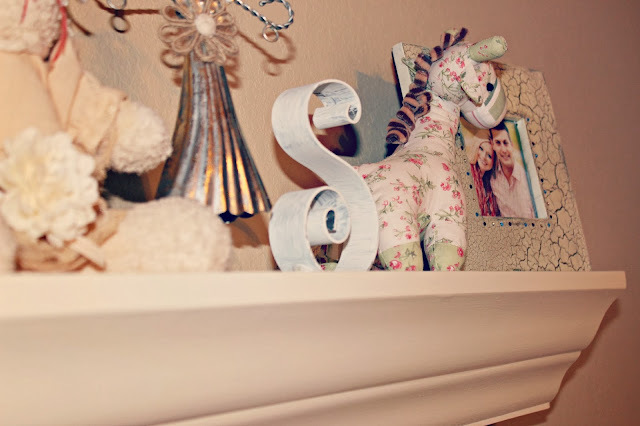 The 'S' was actually the cake topper for our wedding cake, which I painted to utilize for Cee's nursery. 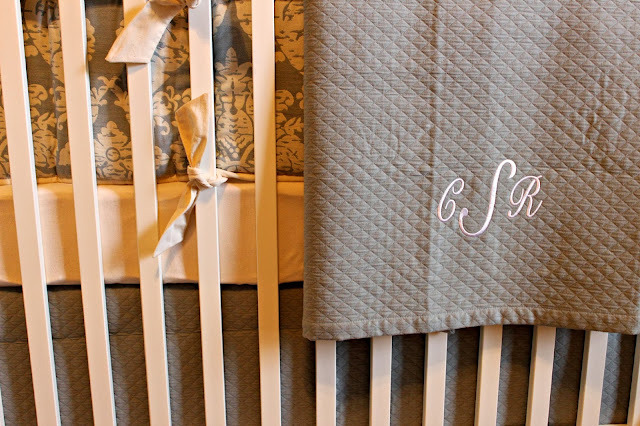 We love, love, love this diaper holder from Pottery Barn Kids. If you're expecting, do yourself a favor and get one. 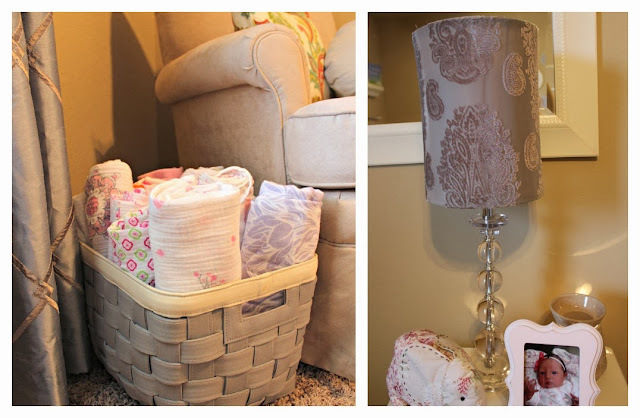 It's a stylish way to keep diapers organized and handy. 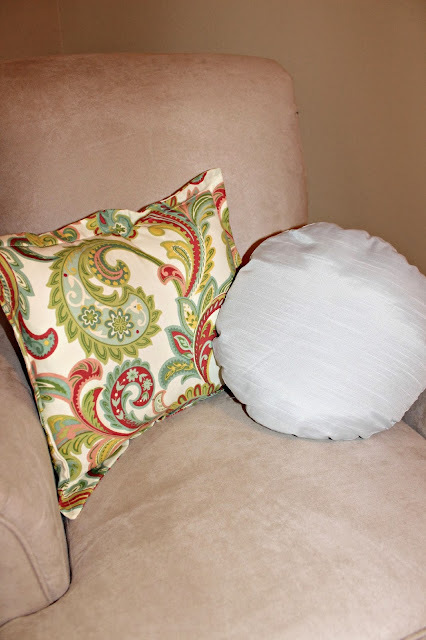 These pillows were sewn by one of my Great Aunts. Didn't she do a great job?! 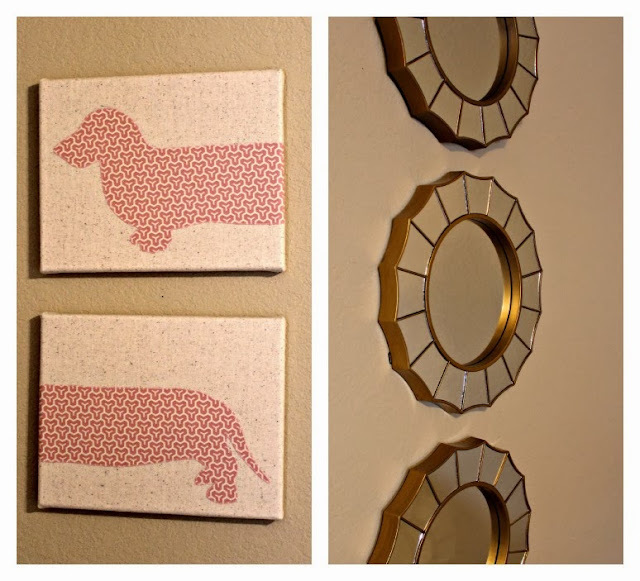 I couldn't love the dachshund art prints any more. 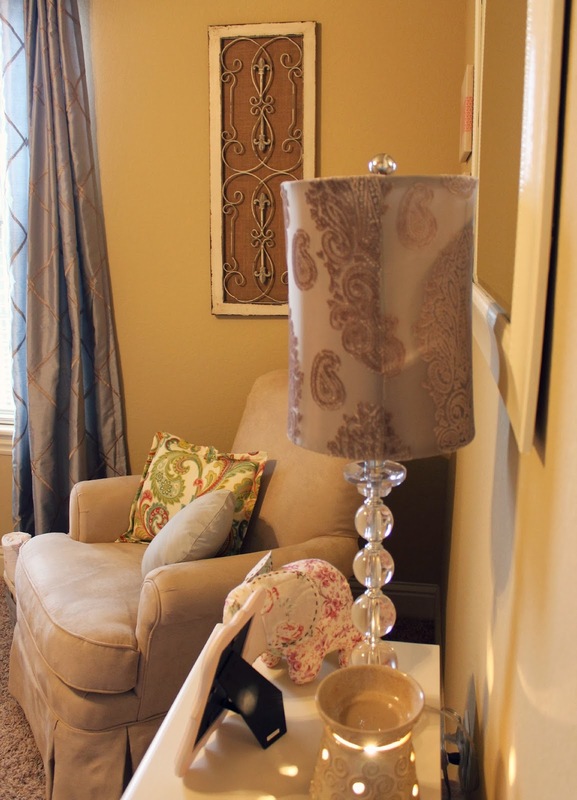 I also wanted to incorporate just a touch of gold to bring light into the room. Again, the inspiration pic at the top had these exact round mirrors from Target. It was a cheap and chic way to make the room look larger! 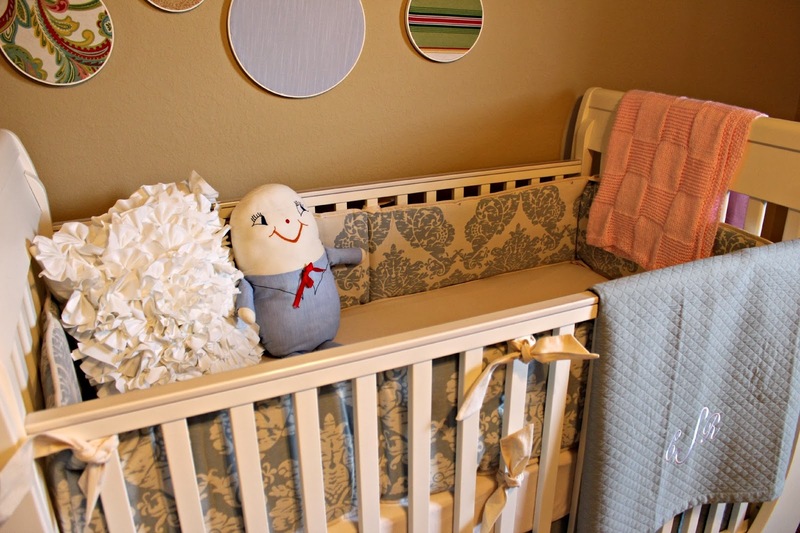 I found the swaddle basket randomly on a trip to Homegoods and it was a perfect match with blue-grey used in the curtains and bedding. So much beauty all around!! Gorgeous & practical! She's precious. 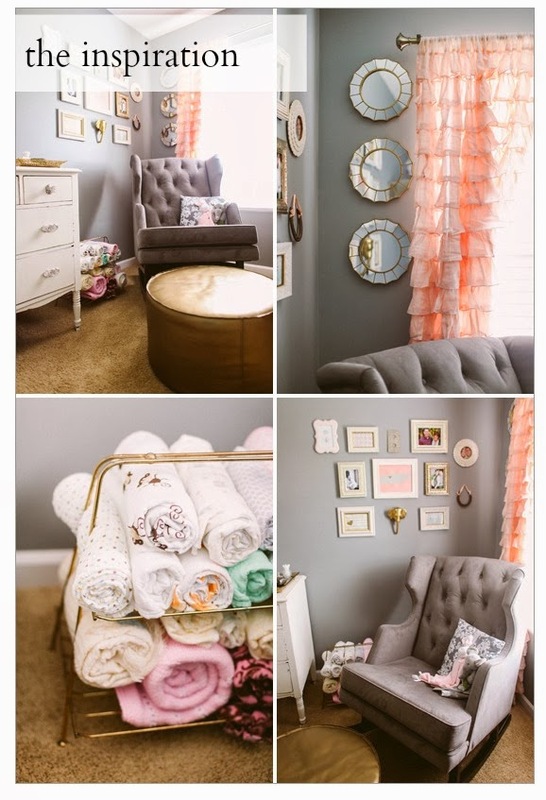 I love that the room is something she can grow into. It's not overly pink or purple and it's adult but not so much that she won't be able to put her own spin on it when she's old enough. LOVE IT! what a sweet, feminine space for little Caroline! I love it! I love the neutral and soft colors. Thank you for sharing your inspiration!! I love it! 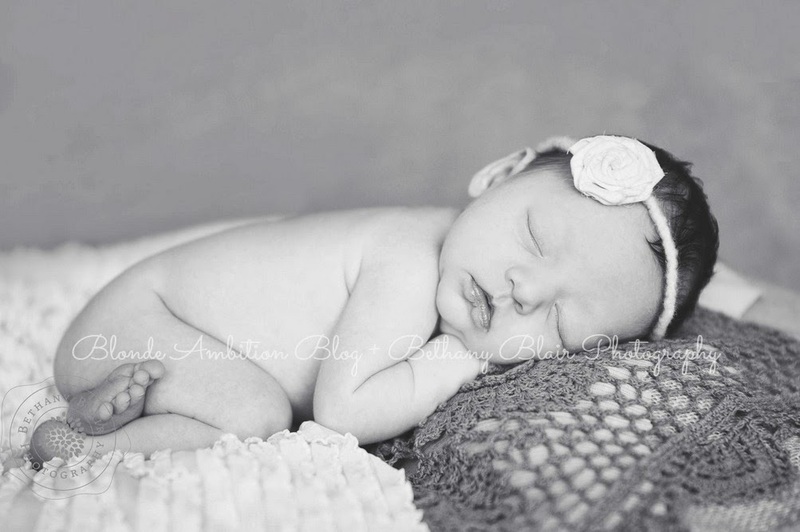 So cute:) And her baby pictures are soo soo adorable! So sweet! Caroline's nursery is just perfect for her:) Can't wait to see the rest of her adorable newborn photos! 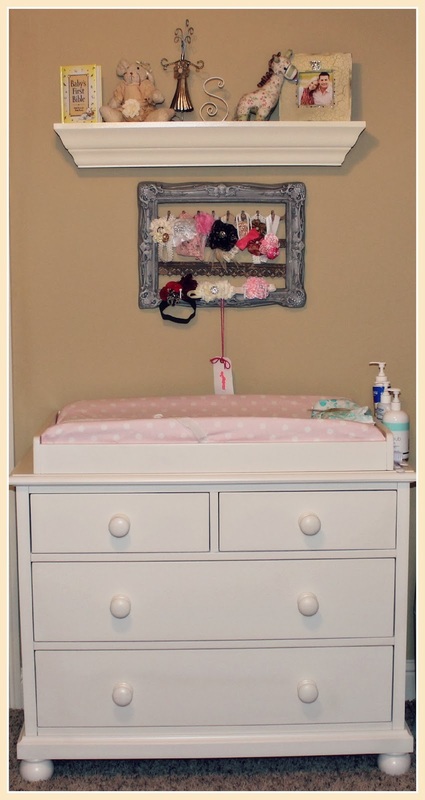 Love the nursery!!! I have been waiting on this post for weeks! 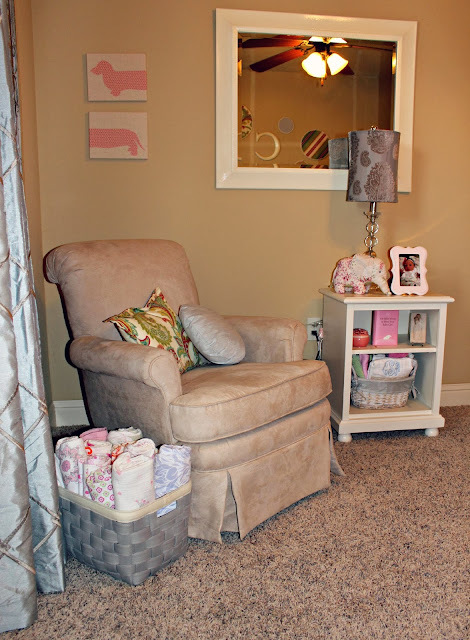 Precious baby and beautiful nursery! Beautiful. I love all the small touches that you used. Stunning. Just. Everything in this post is delicate, soft, and stunning. Such a beautiful space! Thanks for sharing. :) I loved how you were able to incorporate some of your special childhood things, too. Well she is the sweetest little thing and so are those photos! 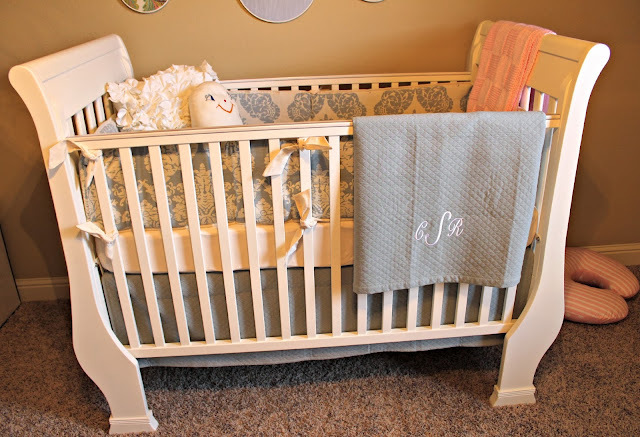 The nursery is perfect in my opinion. Love it all! 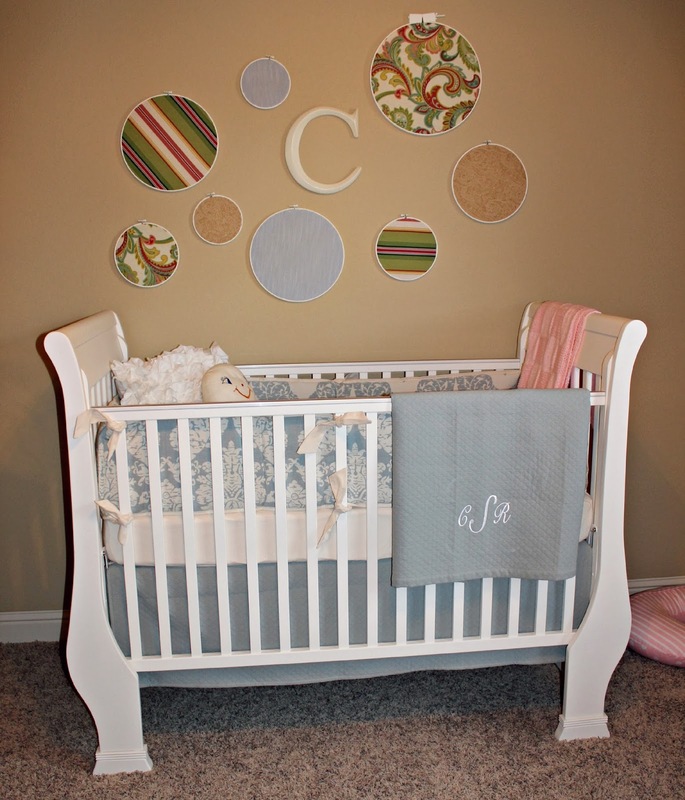 LOVE her nursery! She's a lucky baby! Oh my God Leslie, that is such an amazing nursery! I absolutely love it! I am so happy for you and Stephen, I just love reading your blogs. Caroline is such a cutie!